WOW! Nothing more to say about it! Why aren't there more people like you, who want children to dream on an not to destroy their belief. This is the sweetest most precious story I think I've ever read. How kindhearted you are! hugs from Colorado! Not only is your artistry amazing, but so is your storytelling...and your heart! You are a joy to the world! I believe this whistle truly is connected to a dragon... it is simply so real. I love the story and I think you have made this little girl very happy! Wow what a great story! You are so talented and I enjoy your work. Keep it up! What a wonderful story I hope the little girl keeps her dreams! Your work is beautiful. Precious ! 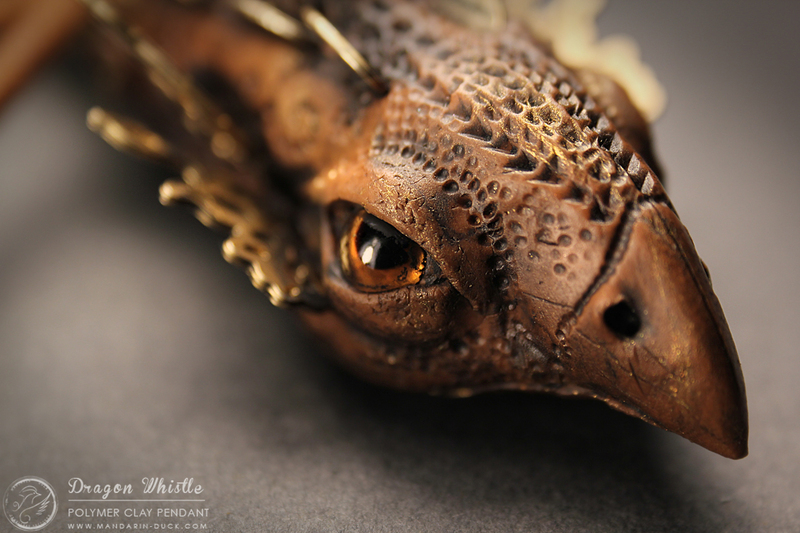 Beautiful dragon, and beautiful story, what a lucky little girl.